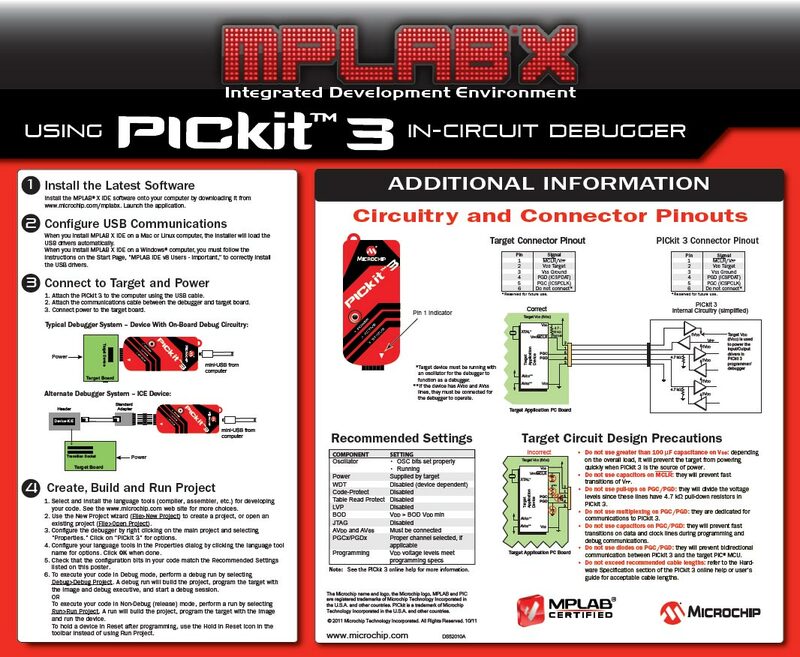 MPLAB X - Using PICkit 3 In-Circuit Debugger Poster (.pdf). 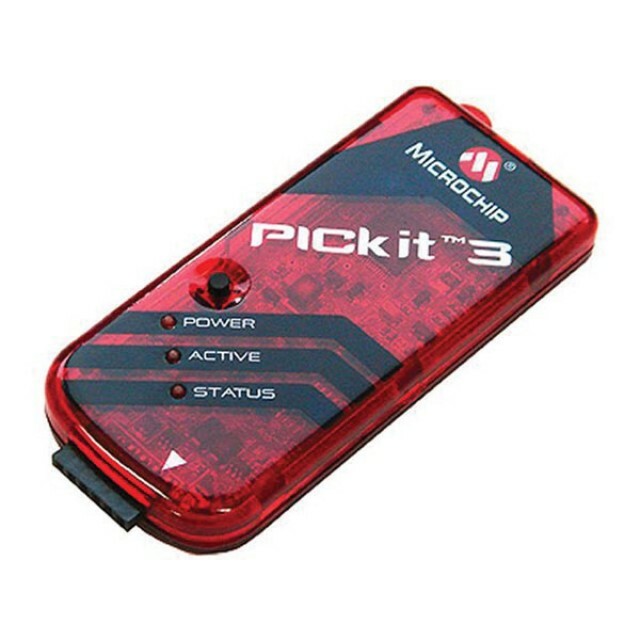 PICkit 3 In-Circuit Debugger/Programmer User's Guide (.pdf). PICkit 3 Programmer Application and Scripting Tool v3.10 (.zip). Minimum of additional hardware needed for debug. Expensive sockets or adapters are not required. 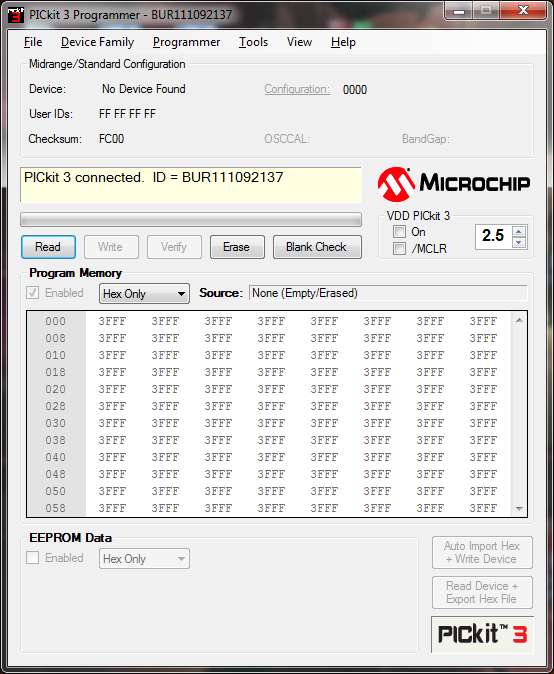 Read/write program and data memory of microcontroller. 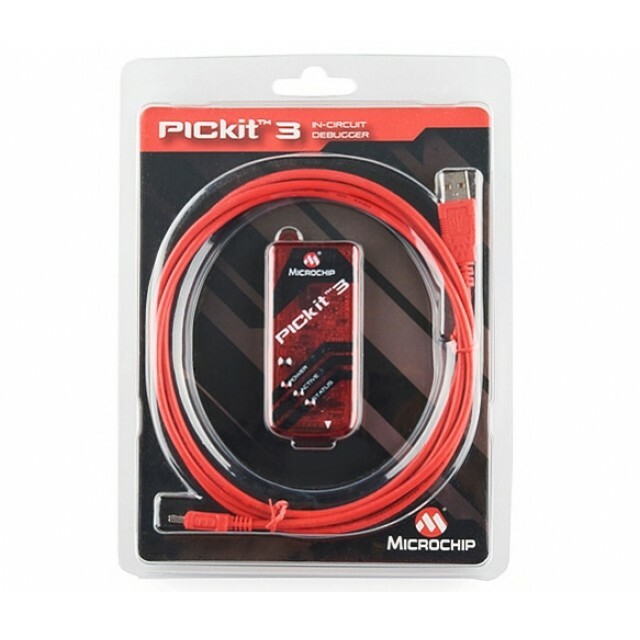 Some 8, 14 and 18-pin devices use small header boards with a special MCU for debugging. This special MCU has extra pins for PICkit 3 communication and therefore allows the use of all pins on the part for the application. The header board is not used or needed for programming. However, when debugging these devices the header must be used.